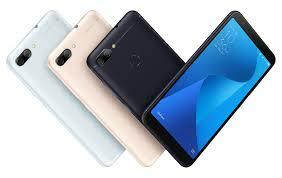 Asus released quite a number of smartphones this year already among which you have the Asus Zenfone Max Plus (M1). The mid-range smartphone has an up to date build and with that I mean an 18:9 aspect ratio, slim, metallic unibody and reduced bezels. While this is impressive enough, there is more to the smartphone which will be uncovered as you read further. Who says mid-range smartphones can look premium? The Asus Zenfone Max Plus (M1) is clear example of one that looks more than it costs. While this is not far fetched in other smartphones of this category, the build quality here appears genuinely solid. Also, the smartphone is quite svelte for a smartphone carrying such big battery. Large battery capacity in smartphones has become a big ordeal with smartphones like the Energizer Power Max P16K Pro. In it’s own way the the Asus Zenfone Max Plus (M1) has an ample power supplied by the 4, 130mAh battery. The smartphone also has a quick charge feature alongside reverse charge capability which means you can charge other smartphones with it. If you are the type that always prefer a phone with a good camera then you might want to consider this one. It has a dual camera which has been finding its way to smartphones lately. The rear snapper consists of a 16MP and 8MP camera while there is an 8MP camera for selfies at the front. Now to the internal storage and memory section, the smartphone has a number of variants, up to three of them. There is a 2GB/3GB/4GB RAM model that comes with 16GB/32GB/64GB respectively. This gives you enough options o choose from according to the price tag. It happens to have the Android 7.0 with their own skin on top pre-installed. 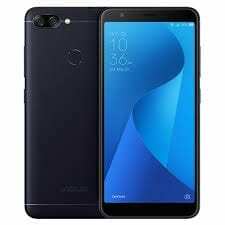 The Asus Zenfone Max Plus (M1) is available for sale and would cost about 110, 000 Naira depending on the deal and your location.